I could never have imagined that Star Fox Zero would be as good as it is. Its mixed reception, chiefly centered around the control scheme, immediately reminded me of another Wii U must-have that serves as one of my favorite games of this generation: The Wonderful 101. In addition, even before Star Fox Zero, Platinum’s previous experiences in space have included the similarly ambitious and utterly fantastic DS RPG Infinite Space and the extremely cool cover shooter Vanquish. But although Platinum’s involvement in Star Fox Zero is rumored to have been minimal, I can clearly say there are plenty of moments where my favorite developer’s magic touch is not just apparent, but in full force. 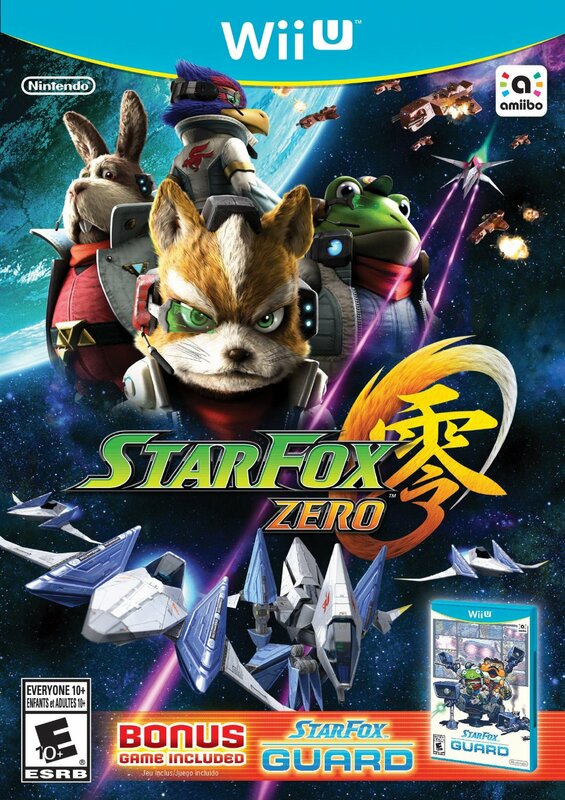 Like more than several Wii U games before it, Star Fox Zero takes a similar approach to other Nintendo flagship titles in combining classic series elements with new ways to play. In fact, this sense of innovation has become the biggest part of Star Fox Zero’s polarizing reception. 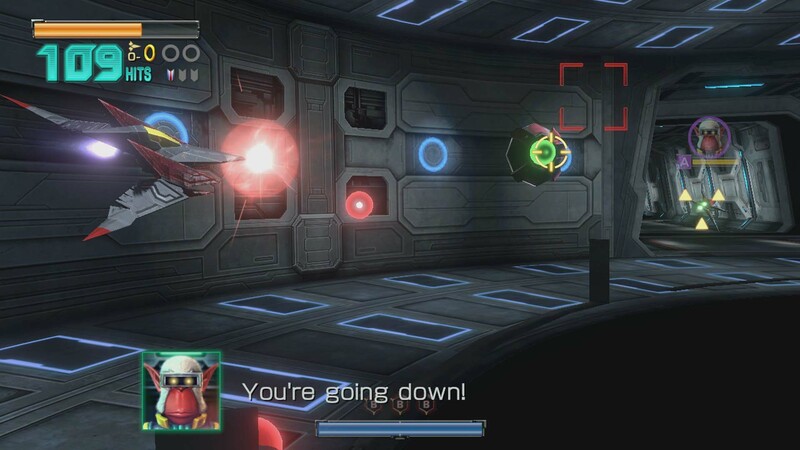 Yet, while the two-screen control scheme is polarizing by itself, and is not the only flaw that Star Fox Zero has, it brings the series’ classic rail shooter combat back into high gear and ends up becoming something more than the sum of its parts. For those willing and able to take the time to learn it, Star Fox Zero is a very engrossing experience that allows you to fly high like never before. Yes, that is an SNES-era Arwing. More on how you can get it later in the review. Star Fox Zero might sound familiar — story-wise, it is more or less a reboot of Star Fox 64, and hits most of the same beats. Fox McCloud, our protagonist, leads the new incarnation of the eponymous team Star Fox under the command of General Pepper. His teammates are hotshot avian pilot Falco Lombardi, ace mechanic Slippy Toad, and original Star Fox team member and father figure Peppy Hare. There are enough differences between 64 and Zero for me to say the latter is more than a mere retread, but the main story remains the same: Fox and friends fight off against an army of space pirates in the Lylat System, led by the fearsome Andross. Also, Andross is believed to have played a role in the disappearance of Fox’s father, respected pilot and original Star Fox team leader James McCloud, so Fox certainly has his own personal reasons to take the villain down. The graphics in Star Fox Zero might look bad by themselves. Don’t be fooled. In game, they are quite lively, and take great advantage of the Wii U hardware. Sure, it’s clear that the series’ jump to HD has been hampered by the emphasis on a dual-screen experience and lack of anti-aliasing, especially when compared to games like Platinum’s very own Bayonetta 2 that are literally dripping with style in their environments, character designs and so on. When one takes into account the fact that two separate viewpoints are being rendered at the same time, though, they work better. And even when factoring in such gripes as lack of detail in some areas, Star Fox Zero is a clear improvement over the likes of Adventures and Assault in terms of its visuals. On top of that, it runs at a very steady 60 frames per second much of the time, with only very occasional slowdown in some tight spots, perfectly matching its namesake’s arcade-y thrills. Here’s a good representative screen – and in case you didn’t know, Andrew’s name comes from the fact that he is Andross’ nephew. 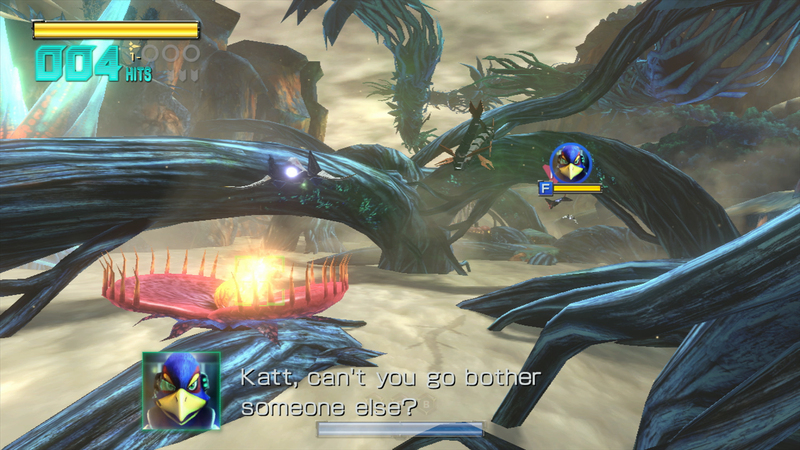 Unlike many other Wii U games, shockingly, the speakers on the GamePad are utilized heavily in Star Fox Zero. Everything from cutscene dialogue to alerts that enemies are approaching can come through the speakers at any given time, so be sure to turn your GamePad’s speakers up. This takes some getting used to, and would probably make streams of this game awful, but it is all part of the immersive nature of this game. And the music is absolutely nothing short of epic. Platinum vet Hiroshi Yamaguchi, who composed Bayonetta and its sequel, as well as newcomer Yukari Suita, were the lead composers and were supervised by a team including the legendary Koji Kondo and Hajime Wakai, who both composed Star Fox 64. The result is a thrilling blend of old and new, and it’s a pity that there is no soundtrack out for Star Fox Zero at the moment. The retro feel is nailed down in other areas on the sound side, too, but especially the infamous “GOOD LUCK” soundbite at the beginning of each level, and the return of many of the voice actors from Star Fox 64 and its 3D remake, including Mike West (Fox), Lyssa Browne (Slippy), David Frederick White (General Pepper/Pigma/ROB 64), and Ja Green (Leon). And Falco is still the pompous bird he always is. Star Fox Zero’s gameplay has a lot of neat intricacies. I am probably in the minority with regard to Star Fox Zero’s incredibly divisive control scheme, but it took me about a half-hour to get the hang of, and it finally grew on me after several stages. The controls have a learning curve, absolutely, but that does not mean Star Fox Zero is unplayable. Far from it. 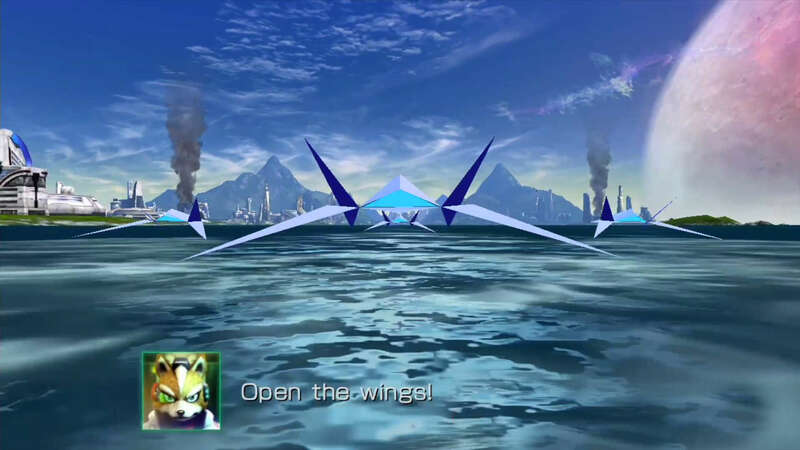 Here’s a good test for any Wii U owners planning on taking the Arwing out for a spin: if you do not care for the motion controls in Splatoon, you will probably not enjoy Star Fox Zero, and you will either love them or hate them. Just like that game, think of Star Fox Zero as a twin-stick shooter, but with the second stick mapped to the GamePad’s gyroscope. There’s a bit more to it than that because of the serious emphasis on a dual-screen viewpoint, though. The TV serves as the overworld, while the GamePad’s screen provides a view from the cockpit. This is meant not to substitute for the overworld, but rather, to fire more precisely. Controls depend on which vehicle you wield, but generally, you move with the left stick, throttle by moving the right stick up, brake by moving the right stick down, shoot with ZR, charge shot by holding ZR, and lock-on with ZL. Sounds like a lot, right? It certainly is, but it all works fairly smoothly. And the co-op in Star Fox Zero is more or less a dream come true, as it takes things to a whole new level. 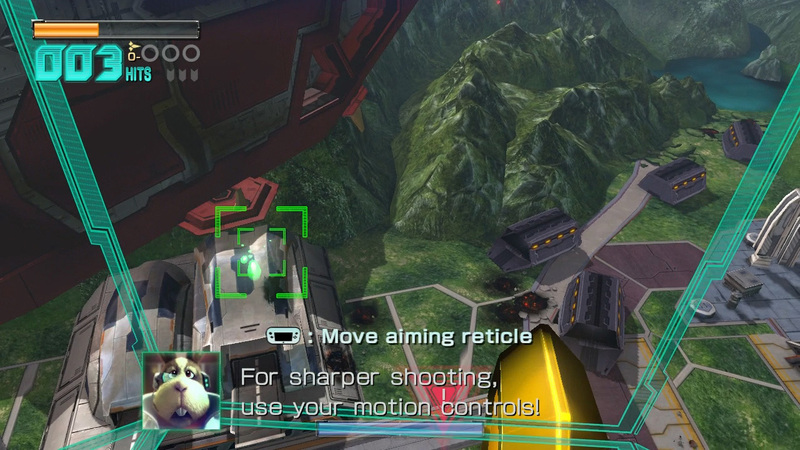 The flying and shooting are separated, with one player using a Wii U Pro Controller, Wii Classic Controller, or Wiimote and Nunchuk to move the vehicle around, and the other using the GamePad to aim and fire. It makes for a great time. WORDS TO LIVE BY. Just get used to them.